Genetically engineered corn has a higher yield than similar non-GE varieties and lower levels of commonly occurring toxins. The issue: Some spurn genetically engineered crops as Frankenfoods while others see them as a natural progression from the kind of selective breeding practiced by farmers for thousands of years and brought into the academic mainstream in the mid-19th century by Gregor Mendel. Like them or not, though, genetically engineered (GE) crops are taking over agribusiness. Insect-resistant corn acreage grew from 8 percent in 1997 to 19 percent to 2000 to 81 percent in 2015, according to the U.S. Department of Agriculture. A new study produced by researchers at the Institute of Life Sciences in Pisa, Italy and the University of Pisa looked at peer-reviewed studies on genetically engineered corn published over a span of 21 years to determine the effects of GE corn on agriculture and the environment. An academic study worth reading: “Impact of Genetically Engineered Maize on Agronomic, Environmental and Toxicological Traits: A Meta-Analysis of 21 Years of Field Data,” published in Scientific Reports, 2018. About the study: The researchers reviewed 6,006 studies, ultimately selecting 76 for inclusion. The studies were published between 1996 and 2016. 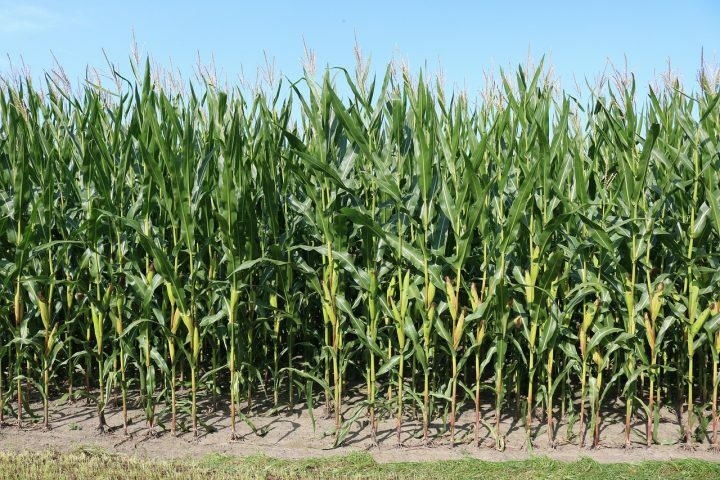 The researchers compared GE corn with genetically similar non-GE crops, focusing on traits like yield, grain quality and effects on targeted organisms (such as pests). All GE crops studied were insect resistant, some were also herbicide resistant. GE corn had a 5.6 to 24.5 percent higher yield than its non-GE counterparts. The authors suggest this could be attributed in part to insect resistance. A major pest, Diabrotica (the western corn rootworm), was successfully reduced in GE crops. The review indicated an 89.7 percent reduction compared to non-GE corn. Concentrations of contaminating toxins produced by fungi were also lower in GE corn. Again, the authors trace this back to insect resistance, as the fungi that produce these toxins thrive in damaged ears. The composition of GE corn resembled that of non-GE plants in terms of protein, lipid and fiber concentrations. The authors found GE crops had little to no effects on insect populations not targeted by the genetic alterations, “suggesting no substantial effect on insect community diversity.” However, they indicate that pests might develop resistance to GE crops. They suggest a few strategies to delay this. The U.S. Department of Agriculture has resources on genetically engineered crops in the U.S. The International Service for the Acquisition of Agri-Biotech Applications offers global estimates of GE acreage. The National Research Council produced a book that analyzes the effects of GE crops, titled The Impact of Genetically Engineered Crops on Farm Sustainability in the United States. We produced a briefing on ethanol, a gasoline additive and a major use of corn in the United States. A study published in Nature Biotechnology in 2015, “Optimizing Pyramided Transgenic Bt Crops for Sustainable Pest Management,” looks at one strategy to delay the development of pest resistance. A study published in the Journal of Agricultural and Food Chemistry in 2013, “Unintended Compositional Changes in Genetically Modified (GM) Crops: 20 Years of Research,” finds that these changes “have not materialized” in the body of literature on transgenic crops. Citation: Pellegrino, Elisa; et al. “Impact of Genetically Engineered Maize on Agronomic, Environmental and Toxicological Traits: A Meta-Analysis of 21 Years of Field Data,” Scientific Reports, 2018. DOI: 10.1038/s41598-018-21284-2.